Last week, Slackware-current updated its poppler package . The ‘ktown’ repository for Plasma5 contains a custom built ‘poppler’ package, one that includes Qt5 support. That means that the ‘ktown’ version needs to be kept in sync with the Slackware version to prevent breakage in your Slackware installation. Therefore I recompiled my ‘poppler’ and at the same time, I used the opportunity to grab all the latest sources from the KDE download server and built a whole new and fresh Plasma5 experience for Slackware. Important to know is that I have bridged the ‘latest’ repository to the ‘testing’ repository. Meaning: I have said goodbye to the LTS (Long Term Support) versions of Qt5 (5.9.6) and Plasma (5.12) and will focus again on the bleeding edge of KDE’s development. I did this after talking to Patrick to see what his ideas are about Plasma5 and whether he would adopt LTS releases of the software, or perhaps stick with the latest and greatest. Based on discussions in the LinuxQuestions.org forum it was clear that the latest Qt (5.11) combined with the latest Plasma Desktop (5.13) gets rid of bugs that have been annoying Slackware users who have been installing my ‘ktown’ packages. So that settled it, and the difference between ‘latest’ and ‘testing’ is gone again. In future I will probably use the ‘testing’ repository to test Wayland usability in Slackware, like I did in the past. For that reason, it’s best if you point your package manager (slackpkg+ comes to mind) to the ‘latest‘ URL instead of using the ‘testing‘ URL. browser integration: you need to install a browser extension from the respective browser web store, and then your Firefox, Chrome or Chromium will be tighter integrated into the desktop. Plasma media playback controls will operate on browser tabs; etcetera. Apart from the new Plasma 5.13.3, the other updated components are Frameworks 5.48.0 and Applications 18.04.3. There’s also some updates in the ‘extras’ section for Applications: I rebuilt ‘calligra’ and ‘kile’ because of the newer poppler library incompatibility and updated ‘krita’ and ‘okteta’ to their latest versions. The KDE-5_18.07 is running smooth & stable here on the Lenovo T460 laptop, and I am interested to hear about your experiences. As always, the README file in the root of the repository will tell you all you need to know about installation or upgrade. I have updated the ‘qt5’ package in my regular repository to 5.11.1 as well, to prevent surprises when you upgrade to the latest ‘ktown’ but stick with qt5-5.9 by accident, like I did today. That was a bit scary for a moment, seeing the new Desktop Environment break inexplicably on the laptop (I had already tested all of it in a virtual machine). A new Plasma Live ISO is currently being generated, based on the latest slackware-current with kernel 4.14.59. I hope to upload that one later today so that you can check out the new Plasma Desktop without having to install it to your computer. Wonderful news! Thanks as usual! Thank you Eric! Downloadiing right now. Thanks Eric, I love the LiveDVD and Plasma5 works on my Dell XPS701 Xl 16GB 500GB SSD. No issue from the Live session. So I guess I will be adding Plasma5 to this install. My many thanks for your support of Slackware and your posting concerns for PV & family. It looks like the community stepped forward to help PV. Hopefully he will have a way for permanent donation pathway. Thanks as always, Eric. Had it installed before you updated the blog. 😉 Working like a charm. I also updated earlier today befor the blog post went live. As always, a big thank you! Eric, just wanted to confirm that I’ve upgraded and everything looks in order. So far, it runs very well. Thank you! The Noto CJK font series does not play well with SCIM Chinese input. The Noto series fonts get reloaded with each upgrade of KDE5. This time it was much more troublesome to get rid of the Noto fonts. I deleted the fonts and ran fc-cache -r, and rebooted twice, only to have Noto CJK reappear! A second round of deleting and fc-cache -r and rebooting conquered the evil foes. O frabjous day. Regnad Kcin, I checked Google’s font repository and there is currently not a newer version available of this Noto CJK font file. I did find a fontconfig file for Noto CJK in the Arch Linux repository (https://git.archlinux.org/svntogit/packages.git/plain/trunk/70-noto-cjk.conf?h=packages/noto-fonts-cjk) which I do not have in my package, but I don’t think that this file will solve your problem with the empty boxes instead of displaying Chinese characters. Without the Noto CJK fonts, you have no font related issues anymore while working with SCIM in Plasma5 and using Chinese text? There’s no other font you had to install instead? The default Slackware fonts are OK? Because if you can work without issue if Noto CJK is absent, then I will remove this font package from the repository on the next refresh. I can work without any issues if Noto CJK is absent. Slackware has always provided basic font support and works fine with SCIM after some minimal setup. I do have other Chinese fonts that I have used for many years that I have added but Slackware does display Chinese just fine without them. It appears that the problem is that the Chinese part of NotoCJK is too incomplete for daily use. I have not yet discovered how SCIM finds its font sets but it works great when NotoCJK is removed. Thanks for your concern and attention. KDE Connect works fine after restarting phone and rebooting machine a couple of times. File transfer tool is awesomeness on wheels. Notifications is good too, as it puts info from my cell phone on the computer screen. I dont even have to pick up my phone to read skype and wechat messages. very cool indeed. I really think KDE 5 on Slackware is ready for “prime time” now. I still hate the application menu transparencies but with my NVIDIA card and the NVIDIA 390.77 driver the transparency is not so irritating. The question of “why transparency” and “why can’t I turn it off?” is still lingering. I can increase the transparency to 100% ( with meta+mousewheel but can’t get it to zero. I cant imagine why I would want a transparent popup menu anyway. The new kde update causes the microsoftt .pptx to open document conversion to fail. .odp files open just fine but .pptx files do not open and libreoffice and openofiice both hang with an error. old version of kde5 no problem. upgrading with latest kde5 reproduced the.problem. fresh install of.openoffice did not solve problem. didnt.try.new install of libreoffice but both libreoffice5 and libreoffice6 fail same way. i dont.use openoffice but it.loads quickly.as a failsafe when libreoffice dies. in this case oo has same.prob as lo. Some .pptx that opened before now fail while some are ok including some I saved as .pptx … Some sent from others fail catastrophically as do some of my own. Is anyone else getting m5sum errors on the following packages? I have been getting this since earlier in the week. I am running a hard disk installation from the Plasma live image that I have been keeping up-to-date. No errors here Nate. But I am using the original repository here at home of which the repositories on the Internet are all mirrors. What URL do you use? Nate, the .asc files were indeed not correct on that server. I have refreshed the repository after removing all .asc files and things should be back to normal. Thanks, Eric. Those packages updated cleanly now. acs , yes the server ran out of disk space. Similar question and smilar reply in another post today, on this blog. I have removed the 32bit slackware-current ISO and stopped the cron job that generates them on evert update of the ChangeLog.txt. Only 64bit ISOs from now on. The latest -current updates bumped harfbuzz and boost. Would it be OK to update with this Plasma 5? For the moment I’m holding off the update. Updating harfbuzz seems harmeless. Updating boost will break Akonadi and Calligra, at least. Thanks for the advice Eric. As for Akonadi or Calligra, I use neither of them, so I think I’ll upgrade. 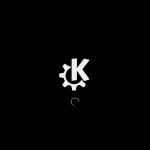 My next ‘ktown’ release will be coming thursday when KDE Applications 18.08.0 are officially released. You will have to be patient for a couple more days before the boost issues are addressed. I already upgraded and meanwhile I can report that calligra (at least calligra words) work without issue. In fact I’m using it now. What did cease to work is your libreoffice package. But then, until you release a new build, I can manage with calligrawords so there’s no problem. I will await your new ktown release. Thanks again for the huge help Eric. My problems with KDE and Microsoft format conversions to open document formats seem to have been tied in with the locale settings in KDE which override the machine settings in root. The problems I was having are largely fixed now although there is one file sent to me from Thailand that I could never open with anything except Microsoft Office 2006. I set LC_TIME=C instead of the localized China format and that fixed several problems I was getting including most of the .pptx/.ppt/.odp conversion problem. Why it helped I dont know. Boost issues I fixed kludgingly with “ln”, which got me looking at locale since I began to notice the errors it was throwing. Do you have any documentation of how to use your Slackbuild for LibreOffice? I looked at it but wasnt sure how to proceed. Regnad, just executing “./libreoffice.SlackBuild” after installing the required build dependencies (apache-ant and perl-archive-zip) should produce the libreoffice packages in /tmp provided you have a lot of free disk space and a lot of RAM. 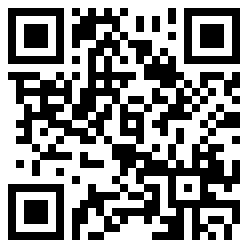 is there any instructions how to test your Plasma Live ISO on virtual machine? bam, just follow the documentation for the virtualization software you use. The typical setup is to configure the ISO as a DVD device, and optionally add a virtual hard disk (you would need a virtual harddisk only in case you want to test ‘setup2hd’). The ISO should be the first device to boot off. Some virtualization software allows you to setup the virtual machine with EFI so that you can test the Grub bootloader, otherwise a VM will emulate a regular BIOS and you’ll see that Syslinux bootloader takes care of the initial stage of the boot-up. Thanks Eric, just wanted to be sure someone tried it in virtual environment. Also, have you considerate to include guest additional modules to the ISO(e.g. VirtualBox Guest Additions), so that we get best virtual experience out of the box? I always test a new ISO in a virtual machine first. And guest additions for VBox or VMware etc will not be added to Slackware Live Edition. The ISOs are meant to be used on real hardware. Ok. Hope you have strong reasons for this.. If you are running Slackware 14.2 then my ‘ktown’ packages for Slackware-current will of course not work. Ah.. I obviously misread or completely missed something. Trying to learn Slackware coming from Manjaro. Looks like I have some reading to do now. Thanks for all the work/info you put out! AgentSLK – I can give you some pointers if you need them. The Slackware forum on linuxquestions.org is also a great source of information with a lot of friendly and knowledgeable people. Most important to realize for now is that the Slackware development model is slightly different from other distros. It does not have a “rolling release” model but the “slackware-current” development tree does have some aspects of rolling releases. From time to time the status of -current is frozen into a stable release which will then be supported with security patches in the years that follow. My KDE packages usually target the bleeding edge of Slackware, in the assumption that somewhere down the road they will get adopted in Slackware proper after getting some good testing from the people who frequent my blog.